The origins of Oud oil, this precious stuff we all love so much, can be traced back to either Assam or Sylhet. The answer to which one of these predates the other will depend on whether you ask a Bengali or an Indian, but one thing is certain: it was in Assam, India, where the first full-fledged oud distillation industry was born. But this post is not about the evolution of Assamese distillation methodology, nor is it about the extinction of wild agarwood in Assam (which, fyi, has been officially extinct since ~ the 1950’s). I will briefly touch on these topics as well, but this post is primarily about a rare, elusive aroma. An aroma whose reputation precedes its recognition, and its actual existence today is usually more fiction than fact. A century ago, if you saw how they made oud oils in India, you’d probably be surprised. Aside from the type of wood they would use back then (which gave birth to the notorious, misused, badly-abused marketing terms like ‘Kalakassi’ and ‘Seyoufi’ in the modern-day market) compared to a mere 70 years later, you would also notice the apparatus was entirely different, and most importantly: none of the oils had that barnyard element which, today, defines Indian oud. I was gifted a small vial of a (truly, and I mean truly) vintage oil by my Indian distiller. When I first smelled it, it was hard to believe it was Indian oud – it was certainly unlike all other Indian ouds I had ever smelled, ‘barnyard’ and ‘clean’ included. The closest Indian oud to it that I can think of is Lalitya, and even closer is our yet-unreleased oil Chamkeila. Before vintage Indian oud as we know it, there were truly vintage Indian ouds. Gold, yellow, and green oils with sparkling sweet scent profiles. Those oils were gently distilled in fully-copper apparatus, and the wood was never soaked (thus never fermented = barnyard) before distillation. My distiller explained this is how all Indian oud oils used to be back in the day. Those of you reading this who plan to visit me at some point, please remember to ask me to show you my little vial. I had begged the distiller to let me buy the batch from him, but he politely declined, understandably so. Then came the large-scale industrialization of oud distillation, triggered by the discovery of petroleum in the Arabian Gulf, which of course then gave birth to the insatiable Arabian appetite for oud. Copper was replaced by steel, churan became the standard raw material for making oils, and ‘the soak’ technique was also born. Pretty soon, the jungles in Assam were dry, Koh Kong in Cambodia was discovered and she was proclaimed the dainty new darling in town. Now when I say agarwood has been extinct in Assam since the 50’s (or even earlier, according to some), I’m referring to the statistical probability of finding a tree in the wild. For all intensive purposes, a 0.01% chance is as good as zero. As someone who has gone on agarwood hunting trips himself, I can tell you that much of the jungles are still uncharted. And so, if you had decided to head NNW instead of NW at some point during a hunting expedition, you would tread new ground. So is there a chance you would have encountered an agarwood tree if you trod a slightly different path? Sure, there’s a chance. But as any experienced agarwood hunter would tell you, there are ‘cookie crumbs’ that lead up to agarwood trees (saplings, cohabiting flora etc surround the location of a tree). So running nose-first into an agarwood tree isn’t exactly something you can expect in the jungle. Having said that, every now and then, very very rarely, trees are still found in jungles in India. Usually they’re in land that is private property (in rural S.E. Asia, large portions of jungle land is privately owned by villagers who live off the jungle: making charcoal, hunting, gathering rattan, and so on), and sometimes in protected national parks. Even more common are trees that were planted in back yards decades ago (some over 70 years ago!) and left to develop the oleoresin naturally. Today, getting genuine, wild, Assamese jungle wood is next to impossible. Those of you who are aware of the bizarre methodology by which I have to operate to approve a batch of Indian wood (wild Indian is hard enough, let alone Assamese Indian) know its like none other, not even wild Vietnamese. But time and time again, Jahir Bhaia has proved himself. He’s one crazy guy, still searching for Indian oud in the wild, not exactly the most lucrative business to be in, in India these days. But if it wasn’t for crazy guys like him, you and I would never get to experience truly wild Indian oud. 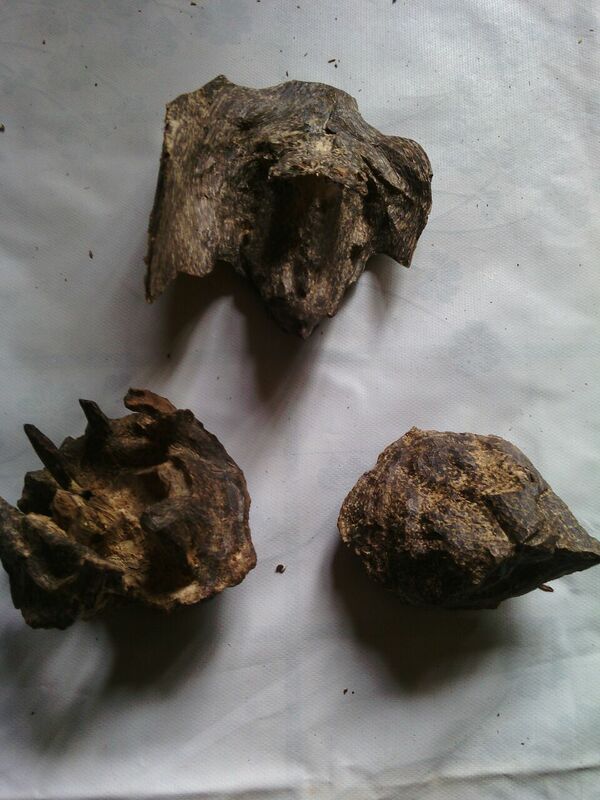 Want to see what REAL wild Indian agarwood looks like? Click here. I am not gonna lie, and claim we cooked this wood; to do so would be insane. These chips wholesale for $45,000-$60,000/kg (which is the price for the finest China market bead-grade chunks). But we do the next best thing: collect all the final-step incense-grade carved shavings from the awesome wood, and juice that. Its deplorable what gets passed off as ‘wild Assamese’ these days, and the same goes for ‘Koh Kong’ and ‘Pursat’ Cambodian, ‘Malinau’ Indonesian, and ‘Nha Trang’ Vietnamese. Food for thought: before my recent release of some Koh Kong oils in 2016, there was a long dry spell for years where I was only offering Cambodian ouds from other regions (primarily Roneam Daun Sam). If it were up to me, I would have only offered Koh Kong and Pursat oils. Sure, there are plenty of ‘Koh Kong’ oils in the market. But if you’ve smelled real Koh Kong wood, you know what it is… and what its not. Earlier this year, I presented Hindi 1, a barnyard Indian oud crafted in a way that captured the aroma of the very first barnyard Indian ouds (using carefully controlled fungal, non-bacterial fermentation). It is with great excitement that I would like to announce Agar Aura’s two non-fermented, non-barnyard Assamese ambassadors, Chamkeila and Shano Shokat. Both wild Assamese to the bone… but crafted in radically different way that gives them very different scent profiles. Chamkeila, a full-blown Gen3 oud, was distilled using the same methodology as Betonamu Jinkoh, and utilizing the most contemporary modern distillation apparatus (nowhere else in India is oud made this way, nor among any other vendor’s offerings will you find an Indian oud that was distilled like this). Ironically, this setup (and the scent profile of the oil too!) is actually closer to the very old vintage Indian oud distillations of a century ago. Shano Shokat, on the other hand is a stout Gen4 oud, that was distilled with deliberate ‘crude’ techniques built into the distillation, and employed apparatus that was used in Assam right when the industrial era started (i.e. what we, nowadays, regard as ‘vintage Indian’ oud). 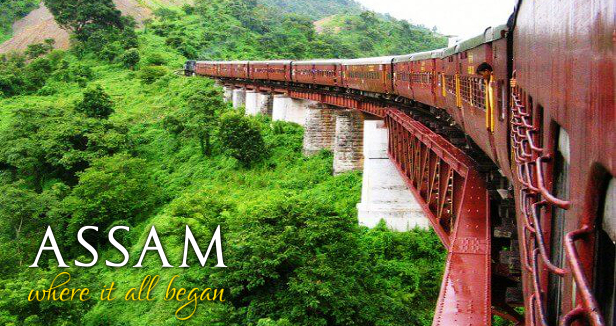 I’m not aware of any other place in Assam where this setup is still present, let alone used. Both are Assamese, both are non-barnyard ouds, and yet they both smell radically different from each other. So let’s get down to the nitty gritties. If you haven’t read my earlier blog post about Agar Aura’s “Oud Generations”, better you read that first. Or even if you have, it may help to skim through it again to refresh some of the points in your mind. Chamkeila and Shano Shokat both capture a very special scent profile, one you rarely come across today. Radically different from each other on the surface, but sharing the same core. Just like a great (and genuine) Koh Kong oud will stand out amidst other great Cambodian ouds of equal calibre but from other regions of Cambodia, likewise Chamkeila and Shano Shokat stand out when compared to other great Indian ouds. Its the unique assortment of scent notes that make an archetypal Assam.. Assam. And an archetypal Koh Kong.. Koh Kong. What I find most fascinating is that the archetypal Assam and Koh Kong scent profiles both have heavy dosages of two scent notes: tobacco and spice. Agarwood from other regions of these two countries can have these notes as well to some degree. But its the combination of soil composition, altitude, and annual rainfall that make these two scent notes very prominent in archetypal Assamese and Koh Kong agarwood. Heat the wood and you get those right away, distill an oil (properly) and again you find them distinctly. Archetypal Assamese additionally has an abundance of musk as well, I’ll get to that shortly. Chamkeila, being a Gen3 oil, brings all the individual notes to a razor sharp focus. Monkoh practitioners, I’m sure, will love this oil. Shano Shokat, her Gen4 sibling, is a more ‘straightforward’ oud. If you want to see what non-barnyard Assamese ouds back in the 70’s would probably have smelled like if the distiller was aiming to replicate the aroma of the wood, this is it. The tobacco note is sweet and smooth, like raw flue-cured tobacco. ‘Warm’ henna note intertwined with the tobacco. The spices are ‘clean’, like the aroma you encounter if you open a jar of mixed spices in your pantry. The woodiness is neither very dry nor wet. The aroma is more resinous than woody. If anything, it is the Indian equivalent of glutinous kinam which is so saturated with oleoresin, there’s almost no wood fibre to be seen. there are no sudden changes in the scent profile. As is the case with properly heated wood, there are three main stages in the evolution of the scent, but since its a Gen3 oud, all three unravel on the same ‘plane’, so your nose will need to ‘listen’ attentively to decipher them, and to distinguish the high top and deep base notes. The more patient, attentive, and adept that you are when heating raw agarwood, the more accurately you will smell the pure essence of agarwood in this oil. perhaps the most astonishing thing in this oil is a clear, unmistakable deer musk note. I’m not saying ‘like musk’, but rather the aroma of actual musk. Or even more accurately: the aroma of distilled musk (cleaner than raw musk grains), something I have only come across once in my life. Even though there is no barnyard element in this oud (the soak solution’s sterility rivalled that of a surgery room), it has a super clean indolic element. This is a natural component of some wild central and upper Assamese agarwood. Imagine a well-groomed musk deer in a three-piece, who’s in the middle of mating season and just can’t help emanating the odor of his musk, even in the middle of a work day at the office. Hint: this is an R-rated oud oil. Give the oil a good 4-5 days to discover all the nuances. And if you’ve never smelled any of our Gen3 oils before, make that a couple weeks to allow your brain to register all the scent notes. The tobacco note is dense, dark and bold, like Jamaican air-cured tobacco. ‘Cooler’ damp leafy henna note intertwined with the tobacco. The woodiness is rugged and dry, like the aroma you encounter when running agarwood through a disc-mill grinder. Its almost verging on petrichor. There are radical changes in the scent profile. At times, it will smell like your nose is in a pouch of raw tobacco, the next moment its glistening odorous raw oud chips. About an hour in, it goes through a ‘candied wood’ phase. Next thing you know, you smell burning agarwood. Gen4 encompasses Gen3 with deliberately added “crude” elements, so this will be a roller coaster ride. This is a very complex oil, so expect to spend weeks with this oil before you can fully grasp (and appreciate) what it has to offer. Took me 3 weeks (and usually 3 days with an oil is enough for me)! There is a bold muskiness that might make you think this is fermented/barnyard oud, but its not. At most, its like a clean stable full of well-groomed musk deers perfuming the air with their swollen musk pods (in other words: its actually muskiness, and not what we usually refer to as ‘barnyard’ in oud, which is the product of fermentation). Unlike Chamkeila, the muskiness is that of raw musk and not distilled musk. this oil is very base-note intensive. The base fractions comprise about 30% of the oil, which is WAY more than what’s normal. So if you find this oil to smell fleeting, its due to olfactory fatigue. Give your brain a good 3 weeks to register everything this oil has to offer. You’ll know when it ‘clicks’: that’s when you’ll see the beast for the first time. At the end of the day, when all is said and done, both are excellent ambassadors that do a fine job representing Assami agar. I once (literally) sat down to calculate how many different permutations there are to running a hydro distillation – and I mean identifiably unique permutations, and it came to a whopping 16! And that’s ignoring the barnyard genre. I’m very happy with the two that I chose, and I think they are an excellent representation of the raw material. For any batch of high grade wood that we distill, Agar Aura’s philosophy is that the extraction techniques and apparatus should serve the wood, rather than warp the wood’s true aroma. I hope you will enjoy both oils, as different as they are, and hopefully with both of them you manage to unravel the core. It is this core that differentiates a truly high grade oud distillation from standard distillations — no clever tricks are required to ‘improve’ what the wood has to offer, the wood itself does the wowing.